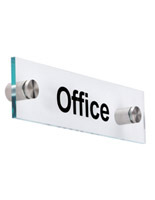 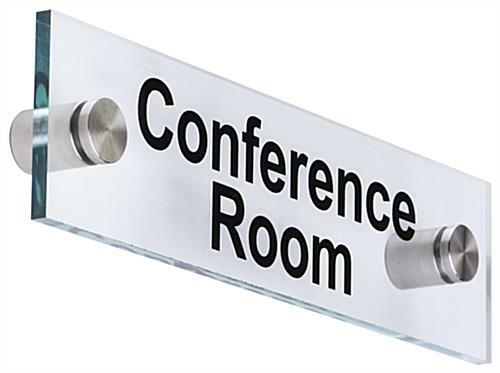 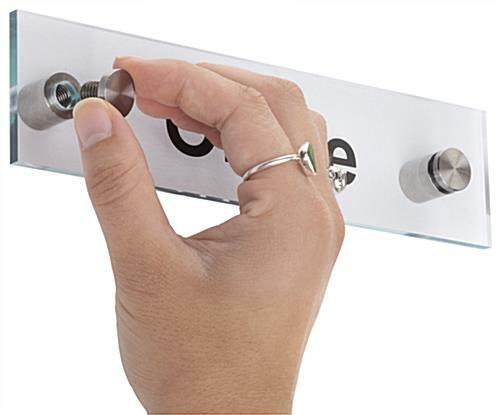 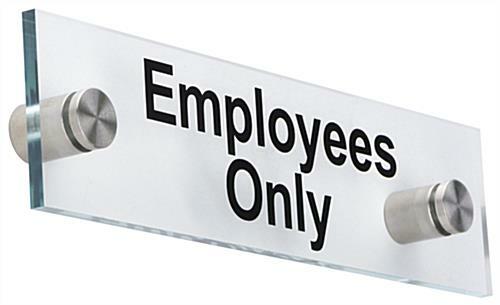 These acrylic office signs when mounted stick out 0.75” from surfaces, which makes for a subtle, unobtrusive look. 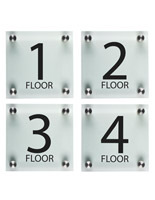 The plates are tinted in green at the edges, for added flair. 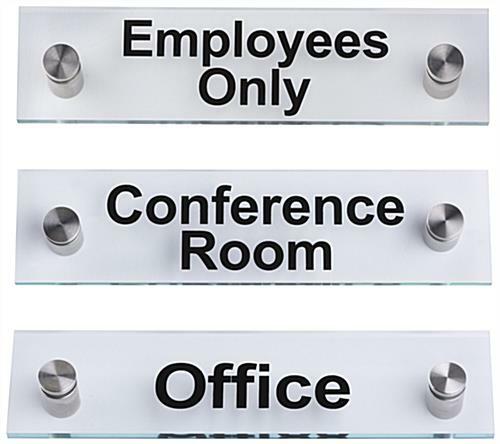 These office signs bring style and order to a business environment, whether an office, department store, or corporate park. 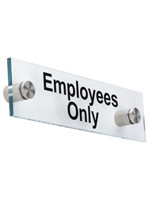 Just affix the signage to a panel with wall hardware and screw in the plates until they are secure. 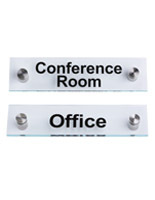 Buy these signs for office in bulk for huge savings. 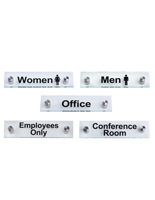 This set includes three separate pre-printed messages that most business environments require: "Conference Rom," "Office," and "Employees Only." 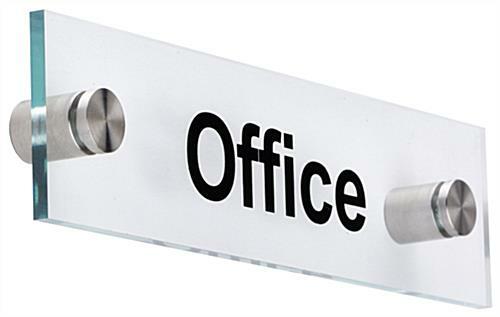 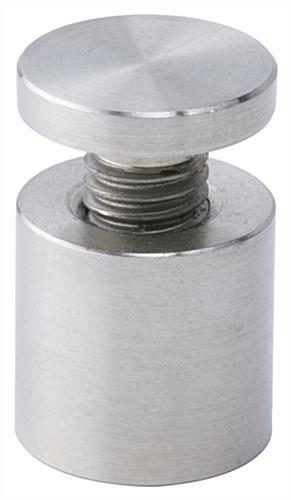 When browsing for cheap signage, stop at our online store where style blends with function and equals quality!